Labralayne is a hobby kennel located in Calgary, Alberta owned by Alayne Madill, AHT, VTS (Anesthesia). 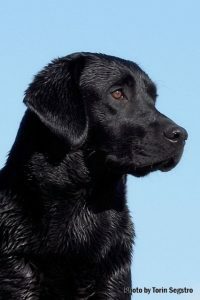 I’ve owned and loved Labradors since 1989. This breed’s loving personality and willingness to please has earned my respect for life. 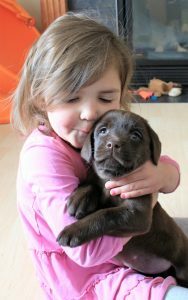 My goal at Labralayne is to provide loving lab enthusiasts with top quality, English style, healthy Labradors that are ready to fill their life with enjoyment. 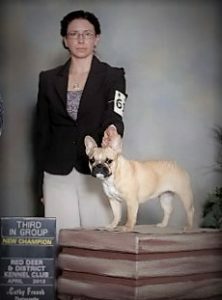 All my dogs are bred for correct conformation, impecable temperaments and good health. A friendly, easy going dog that fits readily into your family’s lifestyle: easy to live with and delight in having in your home. The dogs in my program are bred to conform to the Canadian Labrador Standards of structure and gentle temperament. All the puppies bred by Labralayne have been done so with the intent of breeding perfectly healthy babies and improving all the great traits of Labradors with every generation. To support new owners the puppies are sent home with a written health warranty that covers genetically inherited diseases. All breeding animals are tested and free of elbow and hip dysplasia, heart disease, EIC, cataracts/eye disease and PRA eye disorder. Labralayne breds labs to live with. Alayne is a 1999 Olds College graduate of the Animal Health Technology Program. She has enjoyed working in mixed practice and equine surgical referral, small animal emergency and specialty surgical referral practices. Anesthesia and surgery are of special interest to Alayne and in 2009 she obtained her goal of becoming a Veterinary Technician Specialist in Anesthesia.